The human immune system is made up of the organs and tissues involved in destroying pathogens inside the body. - respond in one of several ways, for example by secreting antibodies. Phagocytes are produced in the bone marrow by the mitotic division of precursor cells. 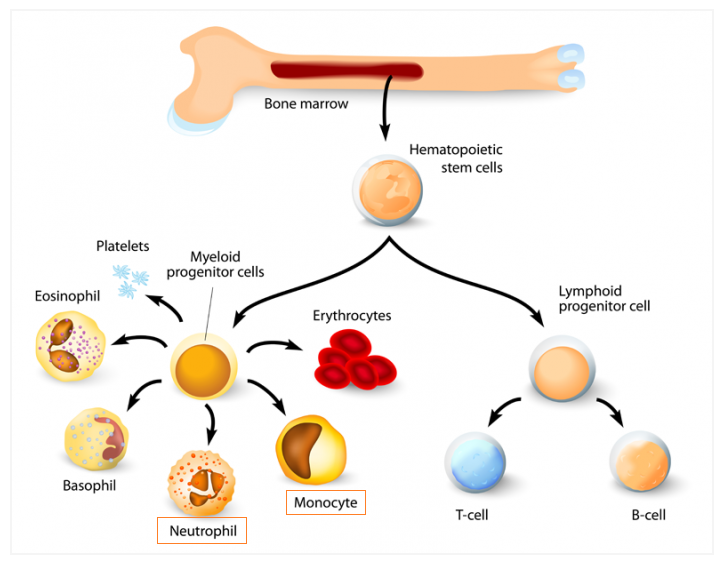 This produces cells that develop into monocytes or neutrophils. Monocytes are inactive cells which circulate in the blood. They eventually leave the blood, often as the result of encountering chemical signals indicating that bacteria or viruses are present. As monocytes mature, they develop more RER, Golgi apparatus and lysosomes. When they leave the blood they become macrophages. 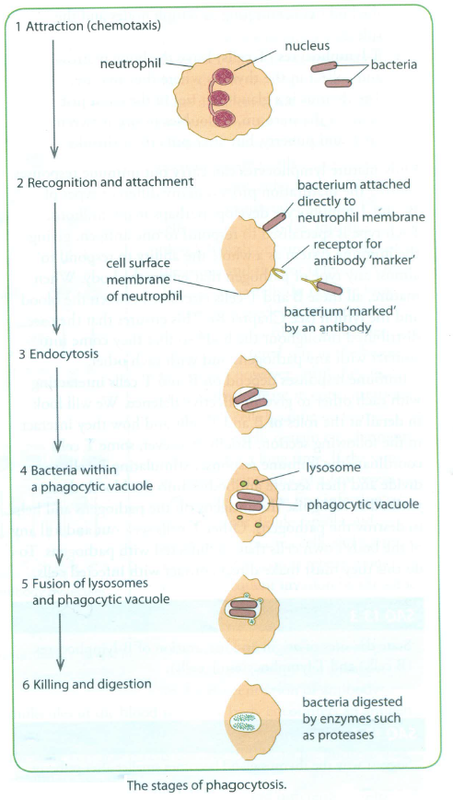 They engulf bacteria by endocytosis and digest them inside phagosomes. 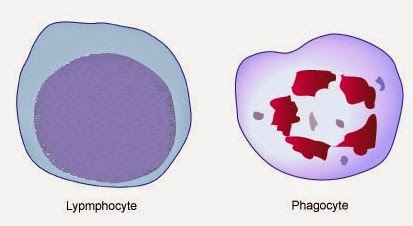 Monocytes and macrophages can live for several months. 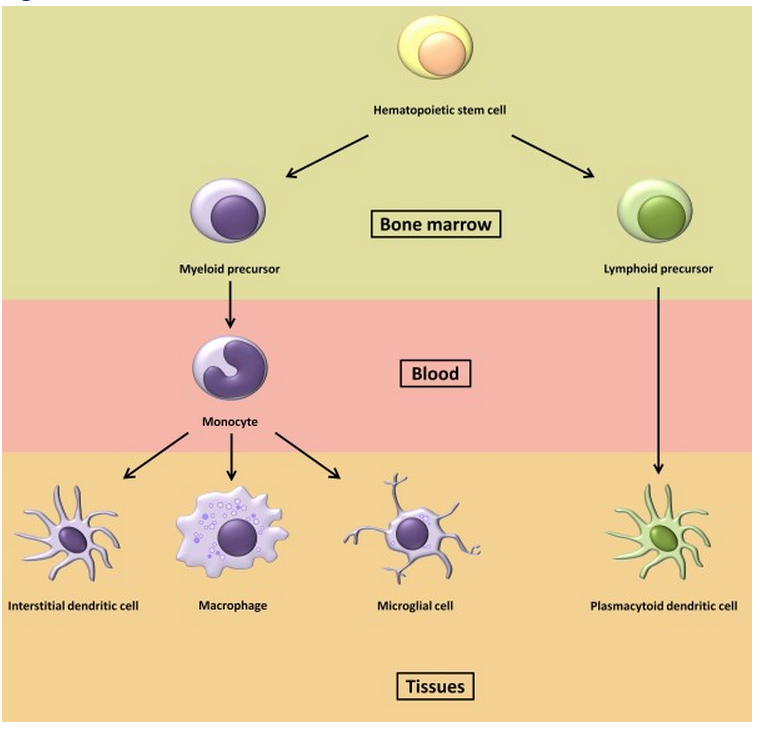 Similar precursor cells in bone marrow produce neutrophils. These also travel in blood. They leave the blood in large numbers at sites of infection and engulf and digest bacteria in a similar way to macrophages. A neutrophil lives for only a few days. 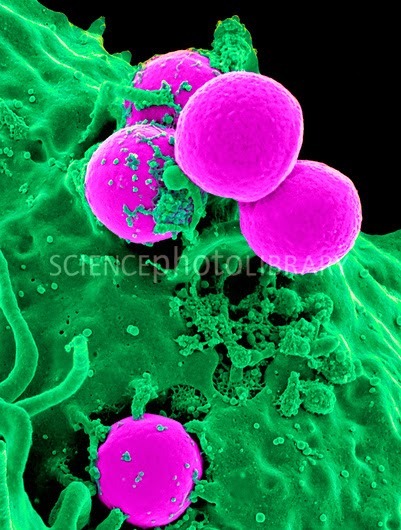 engulfing methicillin-resistant Staphylococcus aureus bacteria (MRSA, pink). Phagocytes are able to act against any invading organisms. Their response is non-specific. 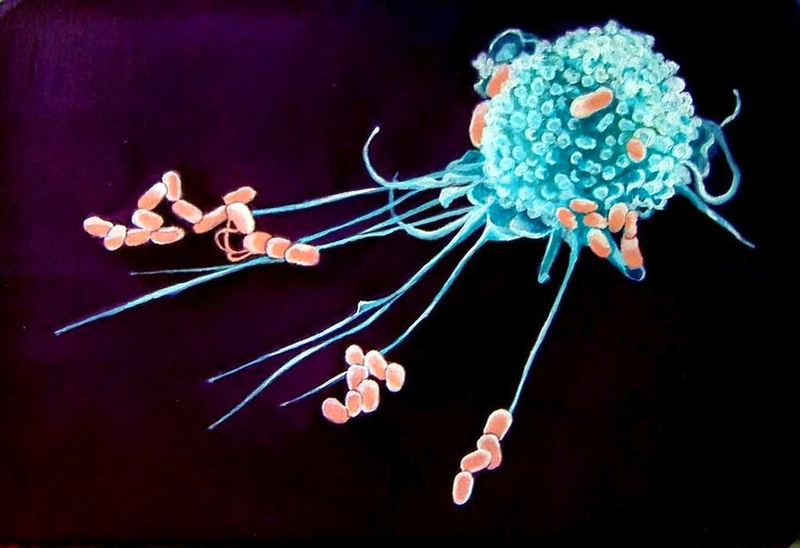 Several different types of cell, including macrophages, place antigens of pathogens they have encountered in their cell surface membranes, where there is a good chance that a B-lymphocyte or T-lymphocyte may encounter them. 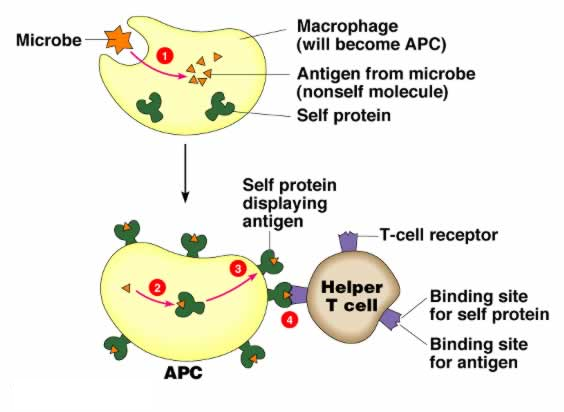 These cells are called antigen-presenting cells (APC). Before reading this post, I only know that immune system is very important for our health. I never know that there are so many and complicated parts in it. No quiz for this chapter?